At The Farm, we have both indoor and outdoor spaces available for rent - so no matter how you envision your reception, we can accommodate you. 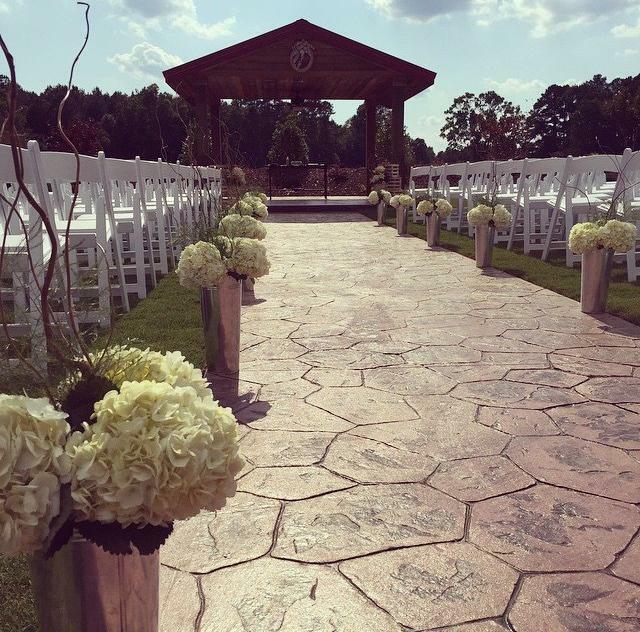 Your reception at The Farm will have a down-home vibe with the lush, picturesque fields of the Eastern North Carolina countryside as the backdrop. 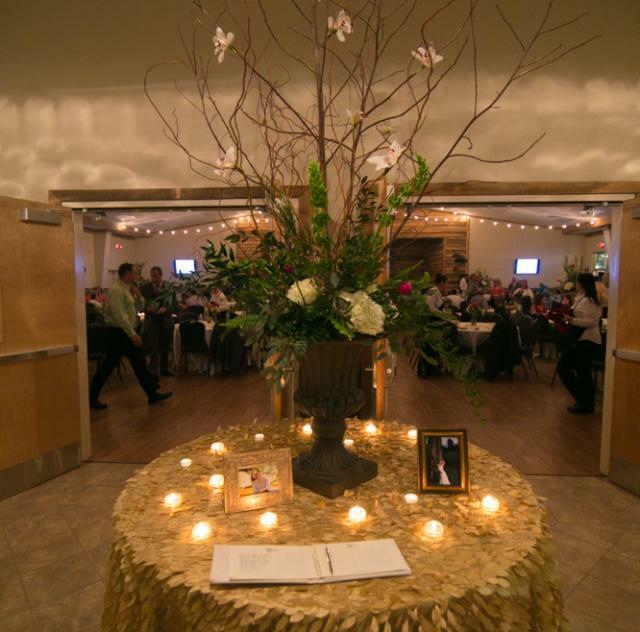 We rent our space out on a nightly basis, and we only hold one event a night, so your reception is sure to be private. With us, you won't have to worry about guests from other events stopping by like you will at some venues. 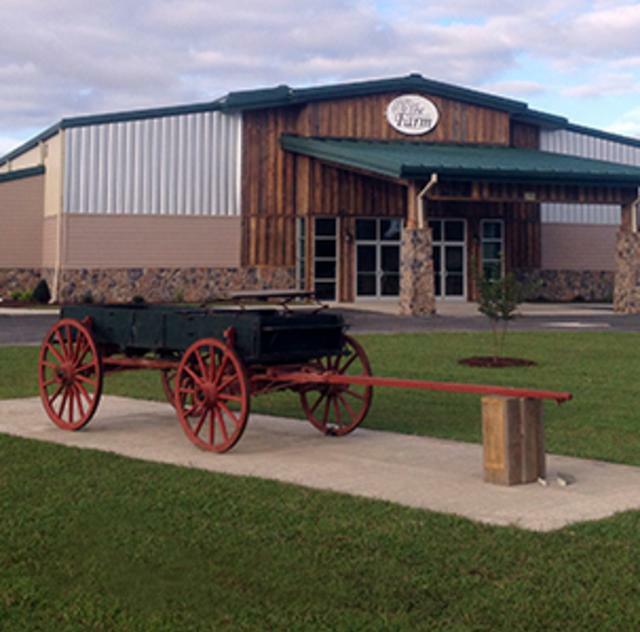 On our property, we have a brand-new indoor banquet hall that holds more than 400 people, as well as tables and chairs for all your guests. This rustic space is flexible and versatile, and features a food-prep area perfect for your caterer. Additionally, it has a dance floor, and we provide audiovisual equipment for your use. 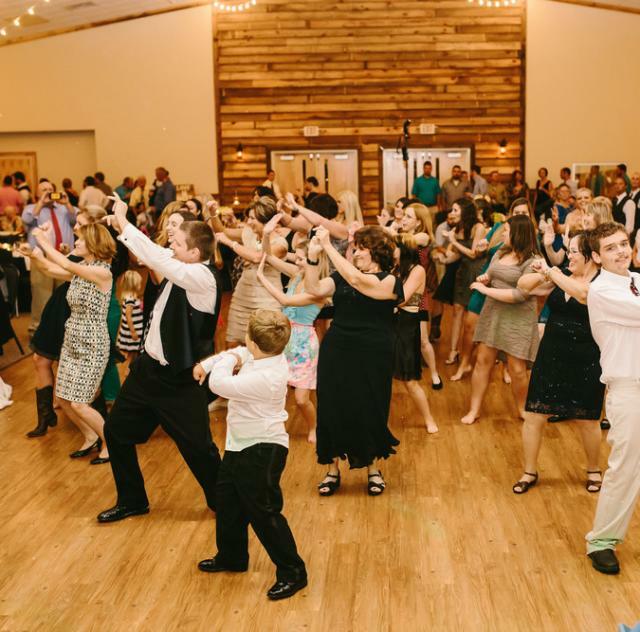 Outside, in addition to our large acreage of farmland, we have an outdoor amphitheater and a large parking lot with more than enough parking for your guests.